Young Teddy Roosevelt became manly hunting bison in the Dakota Territory. 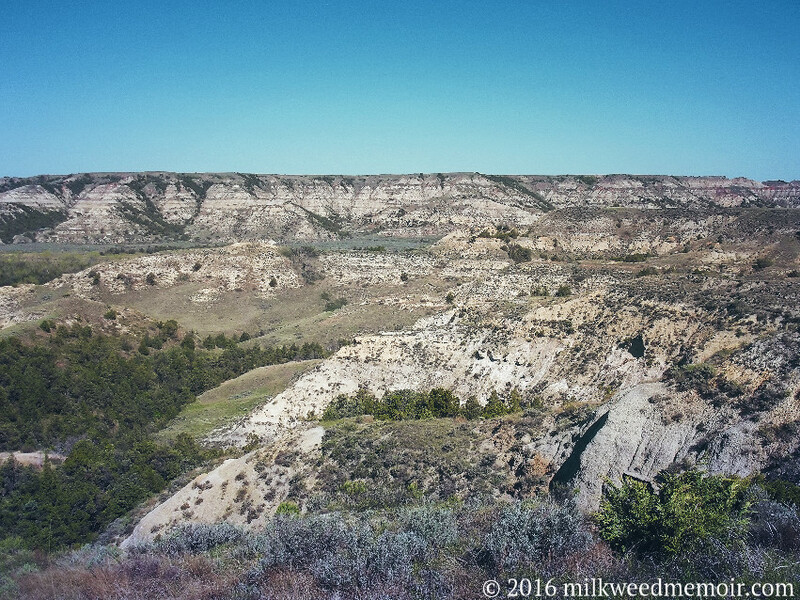 Now at Theodore Roosevelt National Park, bison roam unmolested through campgrounds. 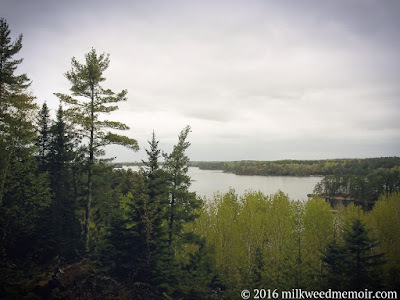 When I briefly visited Voyageurs National Park in mid-May, it was raining and barely above 50° F (10° C). The cold and darkness drove me west to sunnier climes. I did my duty, leaving a milkweed seed ball at this site. But that's what it felt like: a duty. I did not tarry, I did not enjoy. I've been on the road too long, covering almost 24,000 miles (39,000 kilometers) since last September. It's come time to rest for a while. I'll push on to Theodore Roosevelt National Park, Glacier National Park, Yellowstone National Park, and Grand Tetons National Park. From there, I'll work my way slowly south to Arizona, then back to Texas. I'll finish the Milkweed journey in the fall by going up the West Coast.